At the newly opened Conrad Spa at Conrad Bengaluru, a spa outing is a great way to detox, relax and rejuvenate. 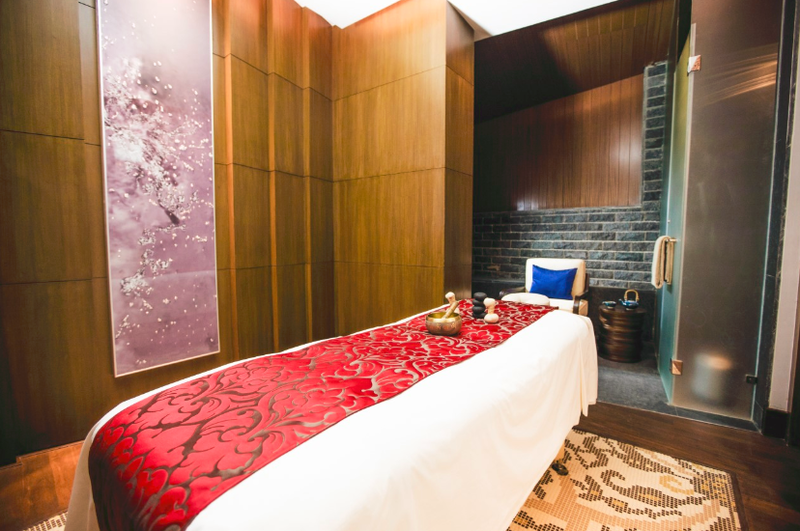 Located on the third level of the city’s newest plush address at Ulsoor, Conrad Bengaluru spa redefines luxury in an understated manner that adds to its charm. As I enter the spa, I can feel a sense of calm almost immediately. Perhaps it’s the muted beige tones of the décor or the complete silence I am unsure but there is a good vibe here. I am welcomed by spa manager Mahesh Lal who leads me to the relaxation room where there are large comfortable chairs to relax. My therapist soon arrives with a cold towel and elixir water infused with orange peel that is refreshing. I am recommended a signature Essential Sports Massage by Mahesh who says that it involves some stretching and massage combined together and is like a deep tissue massage. “Our experienced therapist will break down the “knots” deep in the muscles relieving chronically tense and contracted areas of the body,” he explains. The massage can be done for 60 and 90 minutes and I choose the former as I wanted to also experience the other facilities here. My therapist Lalzidingi from Mizoram shows me the way to my treatment room and asks me to change. The room is large and has a separate seating space, attached bathroom, shower and is furnished in brown tones with a cupboard and a comfortable spa bed. The treatment begins with a foot ritual where I am asked to dip my feet into a large bowl of aroma oil infused water to which Himalayan Pink Salt is added and my feet are given a thorough scrub. Patting my feet dry, Lalzidingi tells me that the salt beneficial for detoxification. After this I am asked to lie face down and am covered with a thin sheet. The therapy starts with stretching where my masseur starts from my feet and reaches my back and then even stretches my upper body. Using her hands, elbows and arms, she actually kneads her way removing stiff knots and relaxing sore muscles. You can opt for the pressure you need and the exercise is very relaxing. After this the massage begins using lavender essential oil that has a mild fragrance. The massage techniques used are simple and coordinated. Using her fingers, palms and arms Lalzidingi’s synchronized circular movements and cross movements lull me to a state of slumber. Soon however it is time to turn around for the next set of stretches that feels extremely rejuvenating. Again the massage continues and I am asked if I want a head massage – with or without oil. Since I opt for one with oil, I can feel the tension vanish from my head quite literally. Post the massage, Lalzidingi advices that I take the sauna for at least 15 minutes as this is beneficial post a massage to absorb the oils and also act as a detoxification. Once done, I am asked to head to the Ice Fountain where a pile of ice cubes are lined up in a conical shape and scrubbing my skin with the ice is perfect after the heat of the sauna. After this I shower and change and am soon back at the relaxation area sipping a cup of warm herbal tea and munching on dried raisins. As I sit back and relax, I realise I have sent close to an hour and a half already here and I feel rejuvenated enough to take work headlong. After all a spa experience must help you relax and reconnect with yourself. And I can tell you that this one does all of that and more. So head to Conrad Spa and rediscover a new you. Signature Treatment: Golden DNA Facial, Chakra balancing adaptogenic treatments from ILA, UK.